Here in southern New England, even though we’ve passed the first day of spring, winter will just not give up its hold on us. As much as I love my fibers and being able to work with them, I am itching to get outside and plan which dye plants to put where in my yard. I’ve worked in more beds for that purpose and I feel that its high time that the snow subside. Can you tell we’d been spoiled last year? It wouldn’t be quite so bad, I think, if the weather didn’t warm enough to melt most of the snow before we got dumped on again. Every time I think to myself, “I know what I’m doing this weekend” another storm comes along. Now, mind you, I’ve never hated a reason to work with my yarn, but there comes a time when a body just wants to be outdoors and able to bend one’s arms…. I’ve started many projects, finished some, taken others apart, and I just think that it’s time to move outdoors and recharge the creativity portion of my brain. I find myself spending more time than I’d like trying to decide which pattern to start next or losing track of what I’d planned to do and I think some good old-fashioned strenuous activity is called for to banish the “numb brain” syndrome. 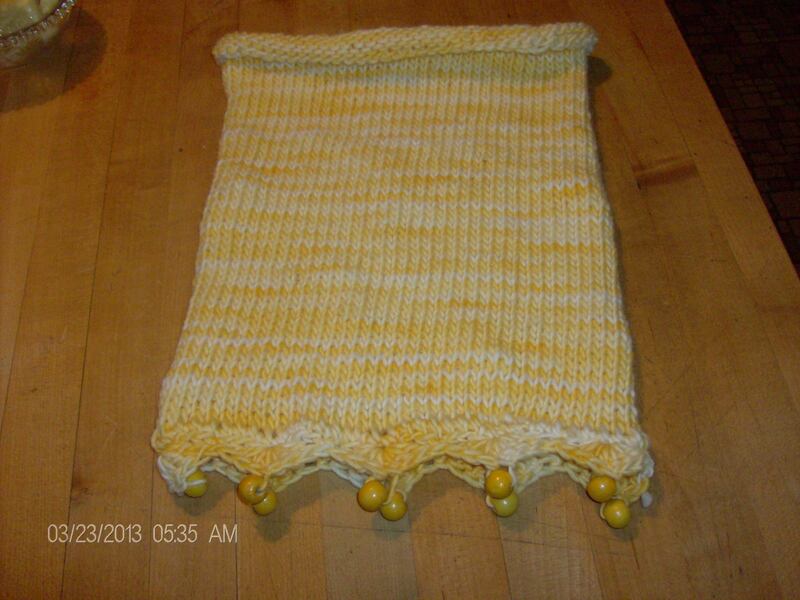 I did manage to finish a lovely yellow cowl made of some wonderful Malabrigo yarn I got on my last trip to Marji’s Yarncrafts in Granby, CT. It is almost sinfully soft. 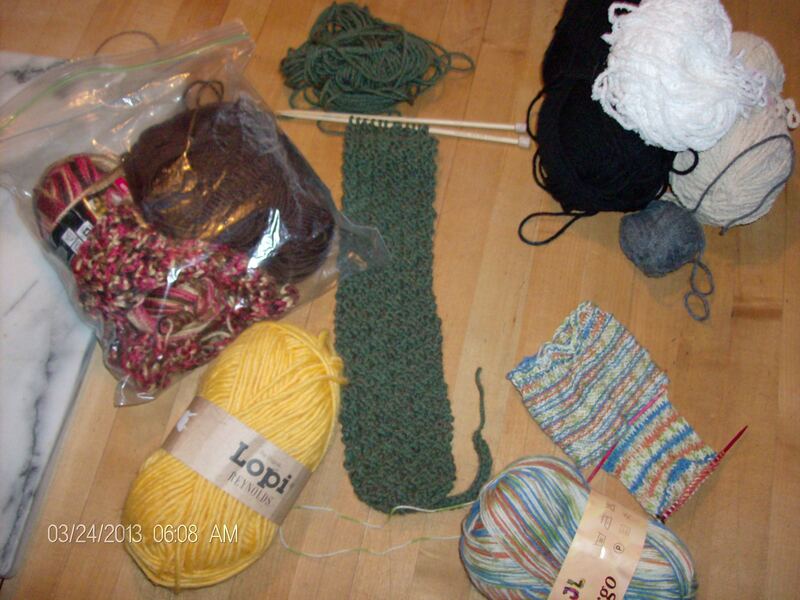 I have a skein of bright yellow Lopi I got on the same trip to make a matching set of mittens. I shall be very stylish, and bright, next winter! And today I am working on some small sheep, finishing a moss stitch headband in a beautiful green tweed as well as a braided scarf I found yesterday while “cleaning” my house. Clearly I’m doing that little chore far too infrequently. Oh, and I hope to finish my second pair of socks. I should probably wrap this up because looking at what I plan to do today only shows me that I am more than a tad optimistic. What are your fiber plans for the rest of this first weekend of spring 2013?